Dog Lover? Look no further. Come out and help our four-pawed pals! 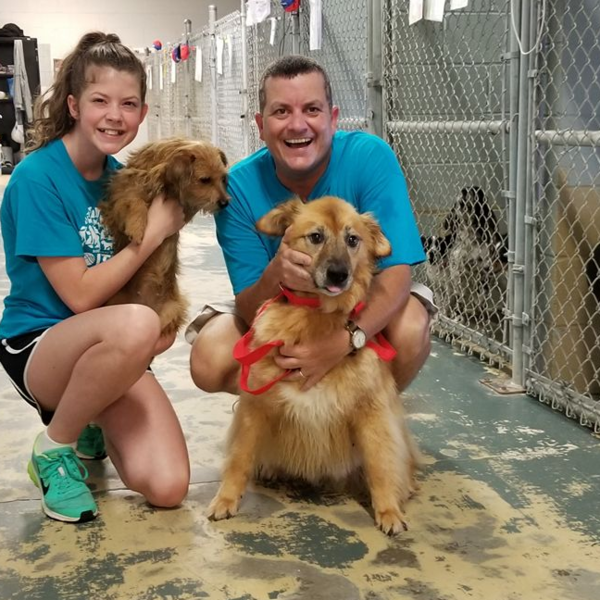 Dog Care Providers assist our kennel team with kennel cleaning, laundry and dishwashing, canine enrichment, dog walking, feeding, medicated baths, and much more. Dog Care Providers play an important role in the everyday operation of the shelter. They work alongside our kennel technicians and other kennel staff to help provide for and take care of our canine population. Volunteers in this position make our shelter a better place for the dogs in our care. Through these volunteers, we are able to dedicate more time to the animals who need it most. Log in to see who is volunteering for Dog Care Provider!